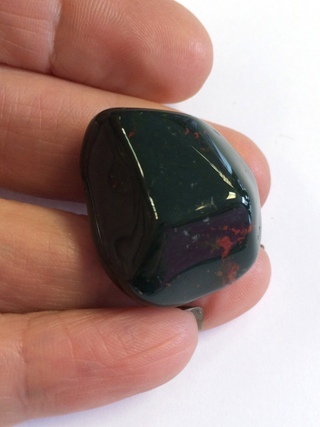 A colourful tumbled piece of Bloodstone. Named for the blood red patches of iron oxide in the green chalcedonic quartz, this stone was known as Heliotrope (Greek for 'solstice') and valued by the ancients for magical purposes. Key Healing Properties: Bloodstone fortifies us with courage and strength to overcome the inevitable obstacles in life. It aids vitality by its purification abilities.